In the words of the Great Captain Kirk, "KHAAAAAANNNN!!!!!". The David Kahn era of the Minnesota Timberwolves has finally come to a close. Today it was announced that owner Glen Taylor would not renew David Kahn's contract. He was President of Basketball Operations from 2009 until today. During his four seasons, the team had an overall record of 89-223. They would fail to make the playoffs every year. As is tradition here at Basketbawful, I'd like to highlight Kahn's lowlights while he was the helm of the T-wolves. "Guys, I think its safe to say, we've got a bright future here." August 11, 2009 - Kurt "My offense is too complicated for this simple minded roster" Rambis is hired as head coach. July 1, 2010 - Minnesota apparently agrees to a 4 year deal with The Darko Milicic. July 13, 2010 -Timberwolves trade Al Jefferson to Utah for...Uhh...Kosta Koufos??? July 12, 2011 - Kurt Rambis is taken behind the barn and put out of his misery. There you have it. David Kahn's greatest hits. I for one am going to miss ol' Davey. This florist of failure has provided me with many chuckles over the years. I can't wait to see what franchise he'll screw up next. In the meantime, let us enjoy the inevitable comedy that new president Flip Saunders will bring. Some of those moves are awesome! The 3PG-draft is a classic. You could add the Roy signing... it's never smart to give big money to a guy who left retirement due to injury. But the Wolves have a decent team, and if not flooded by injuries, they would have made the postseason. It's not Khan's fault K-Love broke his hand making push ups! Kahn is gone?? There goes the chance for the bulls to trade Booz and the bobcats pick for k-love, flip isn't that stupid for that to happen now, or is he? Getting Batum would have been great and AK was fantastic this season (like he's always been). Kahn had a great offseason last year. This, however, does not make up for his previous huge fails and more likely someone else was making the decisions last summer. 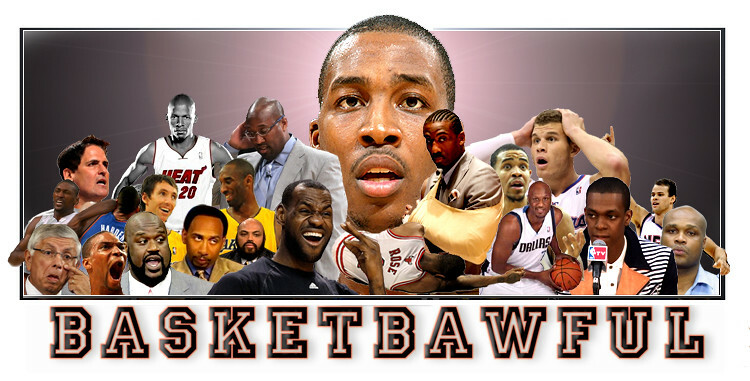 You completely left out Martell Webster. Kahn traded their 2010 lottery pick for Webster. Then made a big stink because Webster wasn't in perfect health (he was a Frail Blazer, how healthy could be be?). Two years later he waived Webster (the injury-prone ex-Trail Blazer) to make room from Brandon Roy. Webster went on to the Wizards where he played 76 games an shot 42% from 3 point range. When Flip somehow seems like a better option, it's over. Hard to picture Love sticking around. Bad day for bawful everywhere. Maybe NY can give him a job? Seems like a perfect fit! You should have mentioned that he passed on Steph Curry to draft Flynn.